The object on the right is called the “object of fire ”. It seems that it symbolizes the burning heart of a Japanese company called ASAHI BREWERIES. 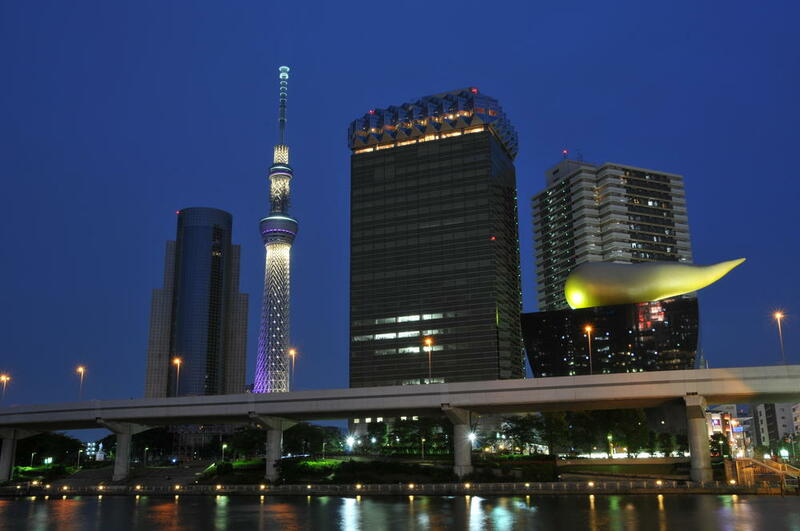 And it’s a beautifully lighted TOKYO SKYTREE. It is a lighted that imagines a elegant and dignified. This lighting is called “Miyabi”.